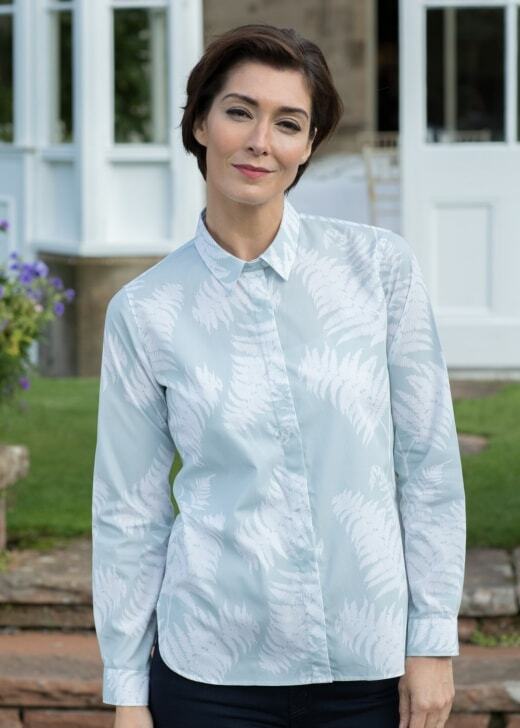 The Gibson and Birkbeck Fern Print Shirt is a semi-fitted boyfriend style, easy to wear cut shirt is perfect for any occasion. The Gibson and Birkbeck Fern Print Shirt is a semi-fitted boyfriend style, easy to wear cut shirt is perfect for any occasion. Rounded hemline, button cuffs, concealed button placket and box pleat in the back. This shirt looks gorgeous with denim jeans for walking the dogs in style, casual drinks with girlfriends or Sunday lunch with the family.